Pro bono attorneys are appointed by the court to a limited scope representation of the pro se party. In other words, pro bono mediation attorneys represent the party just during the mediation process. Limited scope attorneys meet with the pro se plaintiff, draft a mediation statement for the mediator, and advocate on behalf of the client at the mediation session. 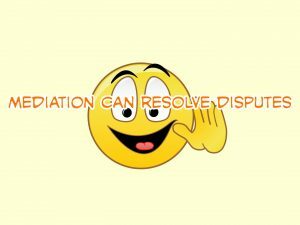 If the mediation does not result in a settlement, the attorney is relieved of further representing the plaintiff. In private practice, Famighetti & Weinick PLLC routinely uses mediation to try to find early resolution to employment discrimination and wage and hour cases. Weinick frequently appears before the judges of the EDNY and believes that both of these experiences are reasons to give back to the EDNY community by volunteering for the pro bono panel. Weinick was accepted to the panel after demonstrating possession of the requisite qualifications, including being admitted in New York and to the EDNY for a minimum number of years, experience as an advocate, and knowledge of employment discrimination laws. Weinick underwent roughly five hours of additional court training in order to participate in the program. If you have questions about employment law, mediation, or the pro mediation panel, contact a Long Island employment lawyer at 631-352-0050 or visit our employment law website at http://linycemploymentlaw.com.